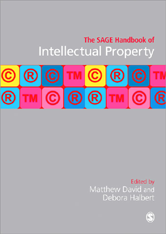 This Handbook brings together scholars from around the world in addressing the global significance of, controversies over and alternatives to intellectual property (IP) today. It brings together over fifty of the leading authors in this field across the spectrum of academic disciplines, from law, economics, geography, sociology, politics and anthropology. Preface to Patenting the Future?